Date: July 17, 2011 · Author: Boone Gorges. This is fantastic, Boone. I (and many others) are in your debt. Thank you for putting this post together and sharing your code! I’ve spent part of the day getting all of this working on my own site. It’s just so great — as you know, I’ve been looking for something like this for a long time, and I’m enormously grateful to you for putting it all together. 1. The entire codebase can be downloaded from github, but one should obviously upload it to a WordPress install. The folders that need to be copied over after being unzipped are the theme and plugin files in wp-content. 2. 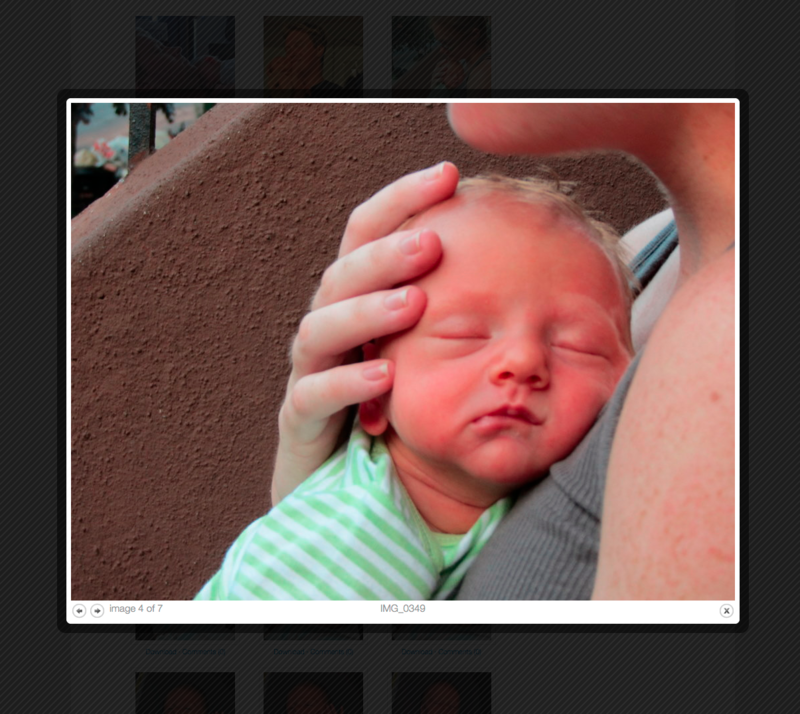 Much as I love WallyG and the WallyG themes/plugins, I didn’t want my own site to mention Wally’s name in connection with photos of my own son. In order to alter such messages, users should open page-register.php and find/replace wallyg.me with the designation of their choice. The same should be done for the wally-login.php file in the wally-login plugin (search for “Wally’s” in that file). When doing this find/replace, be careful not to overwrite any instances of “wally” that appear in function names. 3. If one uses “More privacy options,” as I do, privacy should be set to either allow everyone or to allow normal visitors/block search engines. Don’t worry — Boone’s registration template in the theme forces users to log in. 4. After activating the theme, one needs to create a page called “Register,” using the “Register” template, to activate the login functionality described above. 5. As Boone writes above, photos should be added to posts. But to get the Download/Comment link on the homepage as he describes it, they should be added to the post as thumbnails. Note that there are some gallery settings on the image uploader, and also that there is a menu on the right side of the post box, titled “Format” that allows one to choose “gallery” if one wishes. However, publishing a post in “gallery” prevents individual photos from being accessed/viewed through lightbox on the home page. I hope I haven’t screwed anything up in the above directions, Boone — please feel free to edit my text or to make corrections below if I have. 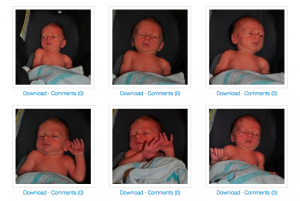 Do you upload and tag photos individually? Or is there a way to add/tag a group of photos at once? At any rate, thanks again for all of this work. This is the part of #projectreclaim I was most looking forward to, in part because I decided long ago that I didn’t want to posts photos of my child on proprietary sites. Matt – You should be able to upload many pictures at a time, as long as you are using the Flash uploader. Just select multiple files (using Cmd, Ctrl, or Shift) on the Browse dialog. I haven’t been tagging photos individually – just tagging the posts that contain the galleries. 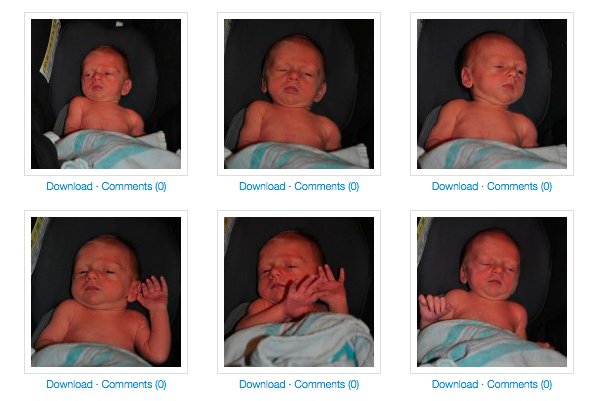 As for your (5): Not sure I understand what you mean about “added to the post as thumbnails”. If you mean the image size that you select when you initially upload the pictures, I think you’re mistaken – I’ve used “Large” on all my photos. The gallery markup is created independently of that selection. You’re right that selecting the Gallery post format has the effect of disabling Lightbox view on the homepage. But for me, the Download/Comment links show up fine on the home page when I use the Standard post format. First of all BRAVO for your baby. This is the most important thing in a lifetime (I have got twins girls so I can tell it). I’m a Buddypress user and I am waiting to see if BP 1.5 is going to solve the VERY IMPORTANT PROBLEM of PRIVACY that I have. I want the members of my BP site (The Club) to each have a (uniform themed) private blog that could be read only by the people they accept. b) allowed to access my categorised posts ( “family only” or “personal life”) will see it. goal: 3 clics and no spam. and all I understood is that there will be a level of privacy in BP groups. In BP 1.2 a blog is always visible and 2 options allow blog to be visible or not in google + BP. I will wait for your answer if you find some time for my request. You should be able to upload many pictures at a time, as long as you are using the Flash uploader. It’s that last part that is tripping me up, as I seem to have only the browser uploader as an option. Any ideas how you would upload photos through the browser uploader (and/or force the flash uploader), or can batch uploads only be done through the flash uploader? I did a bit of googling on forcing the flash uploader, but the solutions out there seem a little convoluted and, uh, forced to me. Have you tried in another browser? The Flash uploader can be kinda buggy from browser to browser. No, but I’ll give that a shot, even if it reeks of “This site is best viewed in Netscape Navigator 2.0” What’s strange is that I don’t even have the option in Chrome to enable the flash uploader. Weird: Chrome, Firefox, and Safari all only allow me to use the Browser Uploader. Bizarre. Are you running the latest version of WP? I know that some improvements have been made to the process in WP 3.3 (currently in beta). Maybe you can try that? Okay, Boone. So, I’ve decided not to worry too much about the Flash uploader for now. What I’ve discovered is that I can upload files one-by-one. The key thing is that those photos do not need to be inserted into the post. Instead, one adds the shortcode [gallery] to the post. That will create a gallery based on all photos uploaded to that particular post, even if they weren’t inserted into it. So, that’s great. I can now add photos. 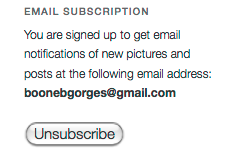 However, what happened next is that I received an email notification announcing that the Gorges family had just uploaded photos to my site! Can you point me to the file that holds your dead-simple plugin? I hate to say it, but maybe the widget needs some options! Also, once again, thanks so much for your work on this! I hate to say it, but maybe the widget needs some options! Patches welcome! Building options takes 10x as long as hardcoding. I might just take you up on that patch challenge. It would be a good learning experience. In the meantime, I just revised the hardcoded info. I think I’m all set to go! Found another hard-coding issue — people using this code have to replace the personalized info in wally-login.php with their own contact info. Here’s a question, though: when I tried to visit ../wp-admin/users.php?page=unconfirmed , I saw an error message saying “You do not have sufficient permissions to access this page.” This is despite the fact that I’m logged in through an admin account and can view the dashboard if I just visit wp-admin. Hi! Very interested in your blog plugins – I see that hasn’t been updated in 9 months in git. Are you planning on maintaining this any further? Hope so! Thanks! Hi Steve – I’m still using the site. No updates, but everything is working as you’d expect. Give it a try, and let me know how it goes!